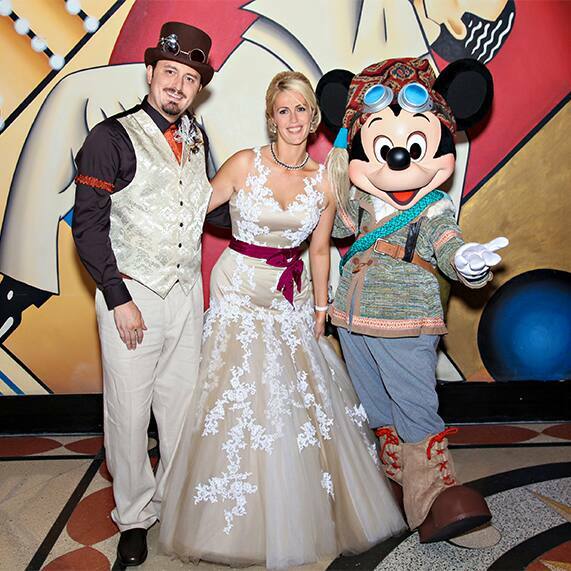 Your special day with Disney's Fairy Tale Weddings & Honeymoons doesn't have to be all about carriages and glass slippers. 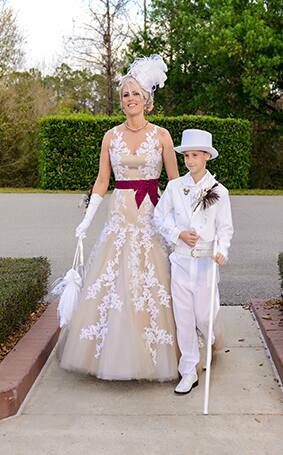 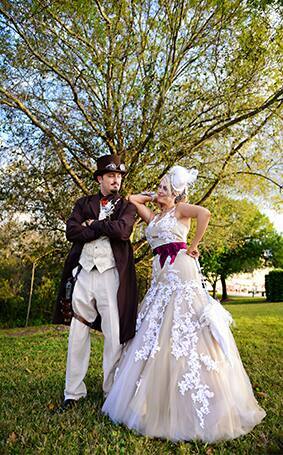 I love seeing couples think outside the box, so when Nicole and Bryan celebrated with a Steampunk inspired fantastical wedding I couldn't wait to share it with you. 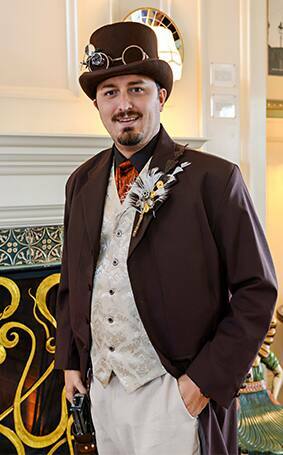 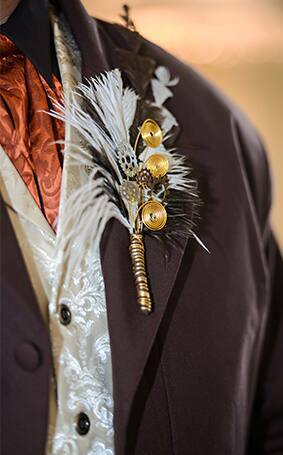 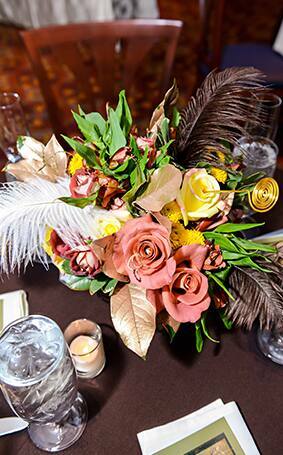 Steampunk merges the idea of Victorian fashion with a science fiction flare and focuses on rich browns, deep reds and accents of copper and black. 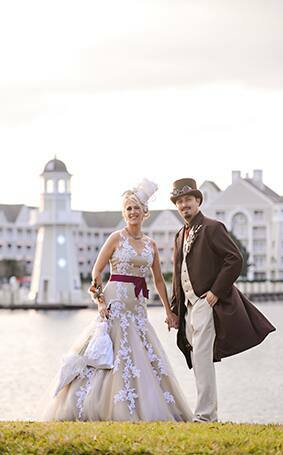 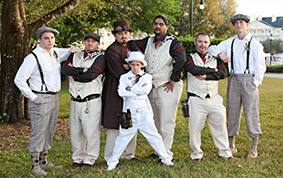 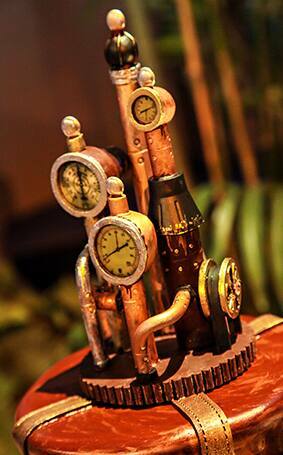 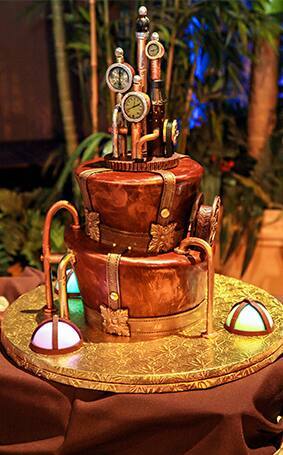 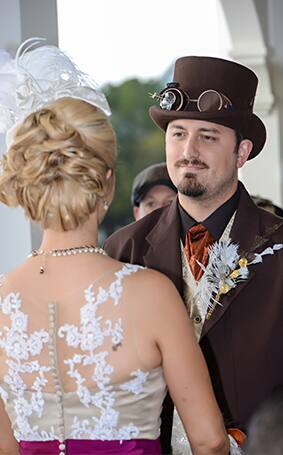 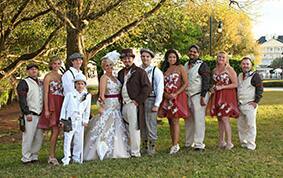 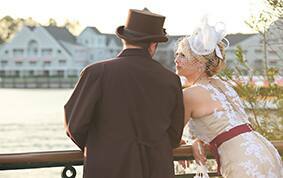 The couple highlighted the small elements of Steampunk such as hats, goggles, gears and cogs which brought their vision to modern day life and complemented the vibe of Disney's BoardWalk Inn. 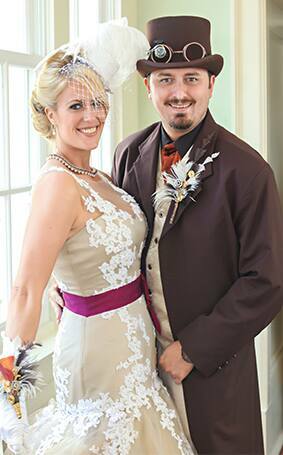 They also incorporated non-traditional elements into their ceremony such as a unity cocktail which perfectly suited their combined charisma. 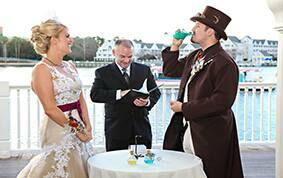 Cheers to that! 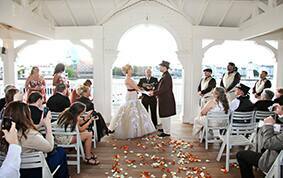 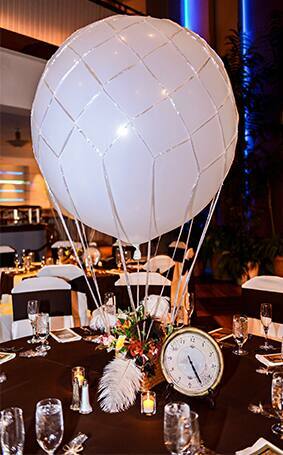 From fairy tales to science fiction, we've got it all to make your happily ever after a very special one.